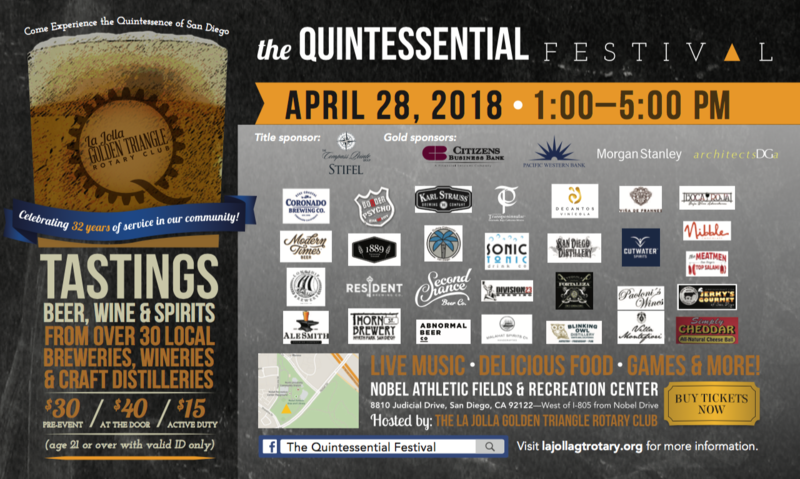 The 5th Annual Quintessential Craft Beer & Wine Festival (formerly Golden Triangle Arts & Craft Beer Festival) will be held on April 28th, 2018. 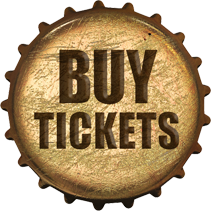 Live music, wonderful complementary edibles, and dog friendly events are only some of the upcoming festivities. 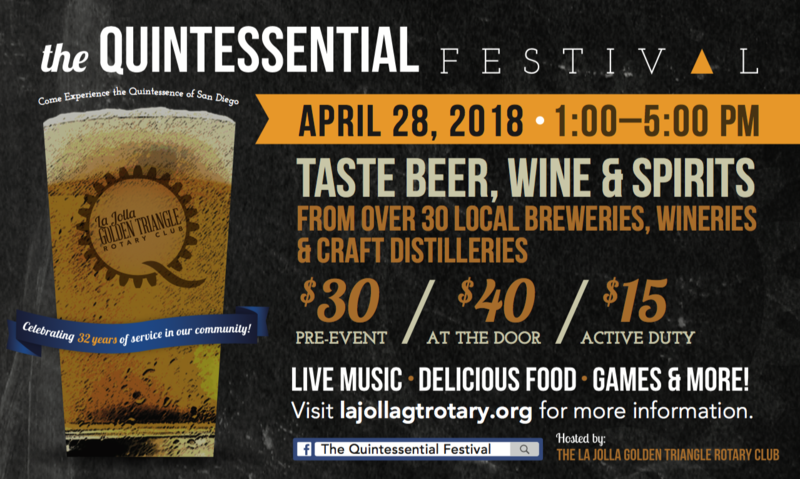 All proceeds benefit more than 45 charity partners of the Rotary Club of La Jolla Golden Triangle.